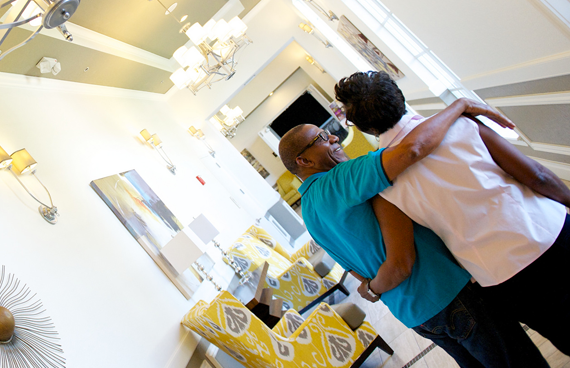 Trilogy® is more than a place to live. It’s knowing you’re in the right place, at the right time, with the right people. And for many of our owners, they wonder why they ever put off making the move. Try something unexpected. Know your neighbors. Experience a true sense of community. Be part of something bigger. Once you visit one of our 55+ and all ages resort communities, you’ll see why everyone is having the time of their life here. Join the Movement. Live Happier®! 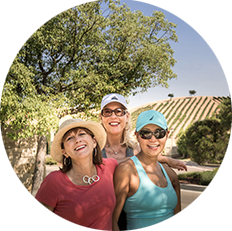 We believe that life is a celebration, so we build Trilogy 55+ and Resort Communities so you can do the things you love, try the things you're curious about, and live every day to its fullest. We also believe that life is better when it's shared with others. Trilogy makes it so easy to meet new people and find new ways to explore life together. At Trilogy ®, we believe it’s more than just our locations, communities, amenities, and homes that make this new stage in life the best stage in life. It’s the thrill of finding a favorite hiking trail. It’s connecting with a neighbor that becomes a lifelong friend. It’s falling in love with a hobby that you’ve always wanted to pick up, and it’s ending each day in a place that you can’t wait to start a new one in. Because at Trilogy ®, we believe it’s more than just having fun in the moment, but having deeper happiness in your life, today and every day. Come on in and explore all of the fun and amazing opportunities in store for you at a Trilogy Resort Community. From relaxing resort-style pools to invigorating group fitness classes, our clubs are designed to bring homeowners together, allowing you to discover new interests, hang out with new friends, and pursue a new level of wellness. Features and spaces may vary from Club to Club. Take a seat at our table, and experience dining like you never have. Our chef-driven, locally sourced menus bring you award-winning creations, while our unique wine programs add an elevated flair that still feels comfortably familiar. And with our top-caliber staff, your meal with us always feels like a resort destination, only steps away from home. Features and spaces may vary from Club to Club. Let all your worries slip away as you relax at a professional spa, complete with full service treatments and a calming atmosphere. You'll leave each visit feeling refreshed, rejuvenated, and ready for anything the day holds. Features and spaces may vary from Club to Club. In many of our 55+ and Resort communities, world-class golf awaits right outside your door. At others, we create clubs and groups that travel to neighboring facilities, so that either way, those who enjoy the game are able to experience it with others who care about golf the way they do. Home or away, grinder or novice, we've got you covered. Features may vary from Club to Club. Our commitment to service is more than just lip service. The Shea family believes so deeply in the delivery of the lifestyle experience that they created a full-service hospitality management group of their own, led by industry leaders from some of the most recognized brands in travel, such as Westin, Hyatt, Ritz-Carlton, Intrawest, and more. 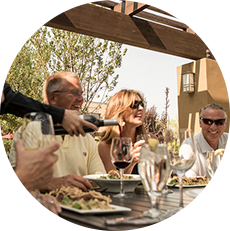 Whether its poolside beach party under the stars, an adventurous trip to an exotic destination, a simulcast concert with one of our favorite bands, or a winemaker dinner on the lawn, we create an amazing lifestyle so you can have fun 24/7. Activities may vary from Club to Club. 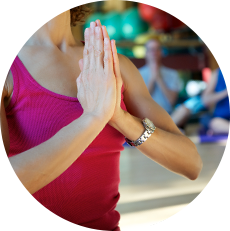 Our new program gives you the freedom to experience Trilogy in your own way! Schedule your visit today! "I said, 'This is where we have to live.' It's just a healthy, vibrant lifestyle. We came to Trilogy®, and we loved it right away." "I never expected the service here to be as wonderful as it is. I didn't know that kind of service even existed. Every morning, I sit outside, and I just pinch myself and say I can't believe I live in this beautiful community." "I haven't seen any other place that has what Trilogy has. This is where I want to be. We couldn’t believe it, we were in love." 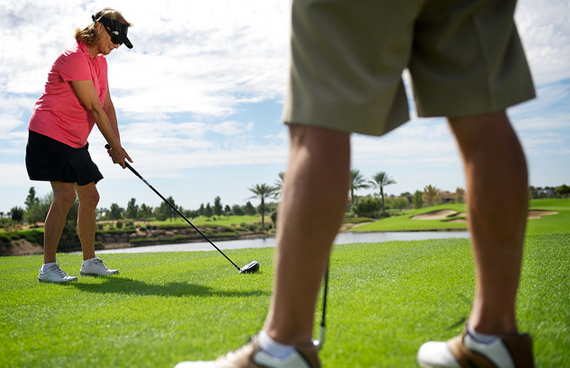 Trilogy® Resort Communities are designed with active post-professionals (or "free-birders," as we like to say) in mind. We build different types of communities in a variety of amazing locations, so you can pick the one that fits your lifestyle best. Includes all-ages and 55+ age-restricted neighborhoods. Age-restricted where at least one homeowner must be 55+. Not restricted; open to homeowners of any age.